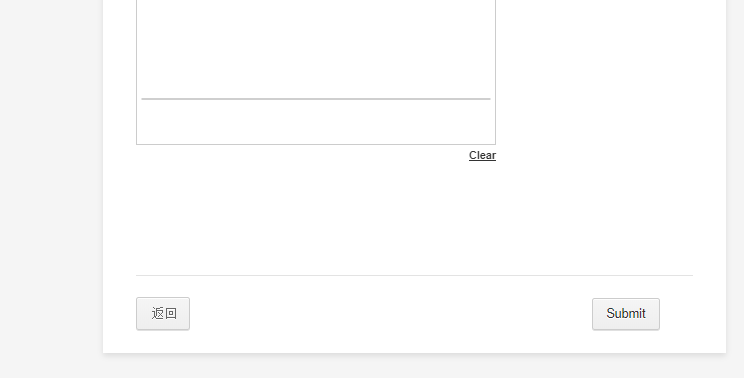 How do I move the submit button next to the back button? After the deletion, the last page did not submit button. A button was added from the left, but the format is not aligned. Can not be the same as the picture below. I am here waiting for your reply, thank you very much. The form layout that you are using is different compared to the 2nd screenshot where the submit button can be found on the end of the page. 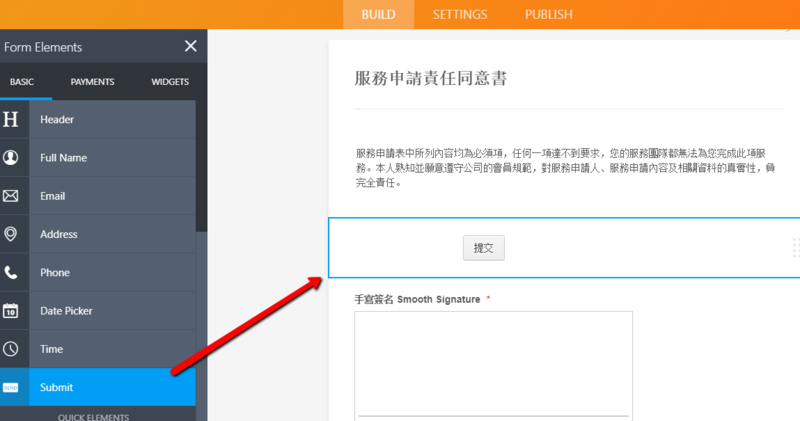 The layout that you have has the submit button that can be moved. 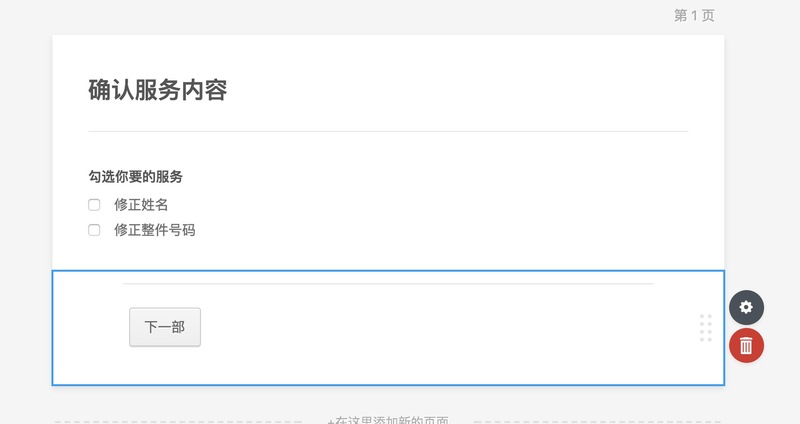 Feel free to modify the text of the submit button. And if you wish to have something changed on the button, please let us know. My apologies. I can't seem to understand what you wish to achieve. 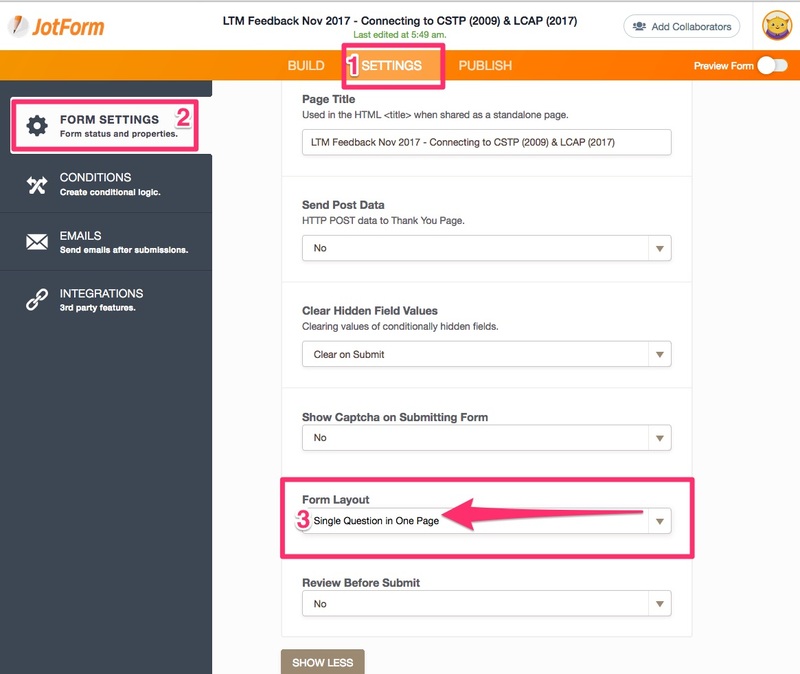 3) Find the Form Layout settings and choose Single Question in One Page. However, if this is still not what you mean, can you please try to describe what you would like to achieve in your native language? We'll try our best to translate it using a translation tool.